Is Peru safe? You can say – yes and no. Much depends on what we are going to do in this country, what we know about it, and how we understand responsible travel. When going to South America one should be aware that it is neither Europe, nor USA! Countries in this part of the globe are beautiful, worth knowing, and there are no contraindications to avoid them! On the contrary – they are worth visiting because they are unique! The only one thing to remember before you start to discover their hidden treasures – prepare yourself a bit. There are different rules and principles applied in there. Different cultures, traditions, including unlike mentality. It’s a sure thing! If you plan to travel around this continent, including Peru, as in Europe, you can be a bit surprised and sometimes even fall into trouble. But as soon as you realize that you are entering an unknown and distinct from the one you know terrain and that therefore, it is important to keep extra precautions and vigilance – there should be no problems. Most often, something dangerous happens due to lack of proper knowledge and ignorance. But of course, dangers cannot be ruled out! This applies to any place on earth. Accidents happen. And they can happen in Peru as well as in Europe. It is not always possible to eliminate them, but you can do as much as possible to prevent them! Security in Peru, what to pay attention to? Knowledge of Spanish – is it necessary? NO, but very helpful. It is advisable though to have minimal knowledge of Spanish. Otherwise, you will be exposed to many misunderstandings, including fraud. And what does this involve? First and foremost stress and higher prices. Peru is a country where still very few people speak English. In touristic spots, you should rather not have any major problems with communication, but only if you will speak with a person in some way connected to tourism or someone young. But be aware that much less young people in Peru speak English than for example in Poland. In stores, in taxis, everywhere outside of large cities do not expect anyone to know any other language besides Spanish or Quechua, or possibly Aymara. Knowledge of Peruvian customs, mentality and culture – is it necessary? Just like with Spanish, knowing Peruvian customs, mentality and culture will be very helpful! Of course you can travel without such a knowledge, but you can lose a lot due to lack of it and also put yourself in trouble. For example before the trip it is worth getting familiar with things like: attitude of the local people to tourists, also the attitude of men to women (particularly important to women solo traveler), local understanding of time or dealing with contracting, promises etc. Most Peruvians, especially in a very touristy places, will treat foreigners as potential riches with their pockets full of dollars. Therefore, they may try to sell services or products at higher prices. It is always worth determining more or less what a given service or product should cost before, to be able to bargain or to withdraw from a potential transaction. The people in Peru have a completely different attitude to time than people in Europe. This concept is very relative to them. If you have an appointment with someone in Peru you need to be prepared that the person either does not show up at all or will be late about an hour. Sometimes it happens that the delay lasts even longer. Rather no one will inform you about that and if you manage to contact the late-comer, you will definitely be told that he will be there in a moment and that he is already on his way. But here again is a trick! To Peruvians the word “moment” means something completely different then to us. Actually, it can mean as well few minutes as few hours. Perhaps you will find it interesting that Peruvians do not like when someone shout at them or force them to do something, in my opinion they are very sensitive about it. Any harsher behavior may ruin a new friendship or make it impossible to resolve existing the problem. In crisis or difficult situations, one should be extremely calm, moderate the tone of the voice carefully and ask nicely using the word “por favor” at the end of the sentence. Orders and screams in Peru won’t help, they will make the situation even worse. It is also worth remembering that Peruvians are way more open to relationships and may interpret some behaviors of foreign women differently. What does it mean in practice? They fall in love very easily and they are highly expressive of their current feelings, which are not necessarily permanent. If they invite woman somewhere and pay for her – they consider it as a signal to advance the relationship. It is therefore important to keep in mind that if a woman does not want to make a male-female relations, she should avoid situations that may be misinterpreted by Peruvians. Checking the site before visiting – is it necessary? Before planning a route (especially not touristic one) ask the locals if the place you are going to is safe. They will gladly answer, they know their nearest environment and know exactly where the tourist can go without problems and where better not to. Touristic trails placed in guidebooks are generally safe. Thefts are possible problems but they are usually the result of huge inattention and underestimation. You just have to be more careful. 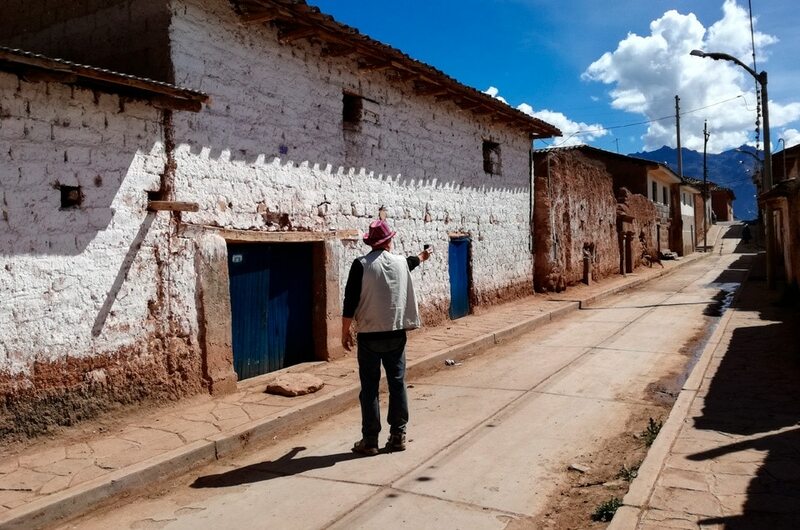 Hitchhiking – would it be possible in Peru? Think about it several times before you start looking for the lift. Peru is a country where something like hitchhiking is not very well perceived. Almost every car here can be a potential taxi that simply wants to earn. It will stop wherever you put your hand aside, but it does not mean that the trip will be free. Remember this before getting on board so that you do not have trouble later. It is also important not to get into an unknown car somewhere in the open field. This can generate enormous danger. We definitely do not advise moving around Peru with cars at night (so-called passenger cars as a shared means of transport or as so-called collectivo). If it is a reliable company, there is no problem. But the problem is that the Peruvians themselves form associations of private cars and carry people on individual sections. Traveling on some routes in the night, in the above mentioned cars can be risky, even though they are faster and more comfortable. Branded gadgets – is it worth to have them in visible places? Fashionable expensive brand jackets, trousers, sweaters, watches, cameras, etc. Everything is great and looks beautiful but should not be worn in some parts of Peru. Remember that this is a huge country. There are zones known to be dangerous even for locals and the one which are extremely safe. If you plan to visit more local, out of the bitten track places, that involve using local means of transport, leave all the gadgets behind. If you have to have them with you better hide them deep inside your backpack and don’t show to anybody around. Anything what is colorful and branded easily catch the attention of potential thieves. They won’t harm you without the reason but they will seize the opportunity if they spot it. Showing off with expensive clothes, gadgets or electronic devices may not be something dangerous in Europe but in Peru it makes you a tempting target for petty thefts especially in a crowded touristic places like buses or in the main squares. There are definitely more pickpockets in Lima and other northern cities. In Cusco, even though it is the largest touristic city in Peru, there are way less thefts after all. Both citizens and authorities pay greater attention to the image of the city, therefore the whole region in general is more protected and controlled. Also in the Andes, crime rates are definitely lower than in the capital. And there is nothing surprising in it. Lima brings together as many as one third of all Peruvians, so there will be obviously more potential threats there! Lima and its specifics – what is worth remembering here? Practically, all the capitals worldwide are more dangerous than the other cities. Often there are only some zones that are particularly dangerous. Lima is slightly different. Practically all zones, except one – very touristic and called Miraflores – are more or less dangerous for foreigners. You can safely move around if you know the districts well or if you get to know them with locals. I will not recommend exploring unknown parts of Lima by your own and certainly not after dark. This does not mean that something bad must always happen. However, the probability in Lima is way greater than for example in London. And there is no point to argue with it but of course the decision is yours. Personally, I consider it highly irresponsible, for example to take the taxi in Lima outside of the airport. Of course it is cheaper but at the same time the risk is way higher. Is it worth it? It doesn’t mean that if it worked for someone else, it will work for you as well. Especially if you can easily mitigate the risk by taking the official cab corporation at the airport or ask your hotel to arrange one for you. For those who want to save as much as possible, we recommend a new solution. At Jorje Chavez Airport in Lima there is also a bus connection called QuickLlama, it is sort of Airport Shuttle. The cost of one way travel from the airport to Miraflores is 15 soles. Details can be found on the QuickLlama carrier page here. Evening walks – is it good idea in Peru? Definitely not. I advise you definitely not to walk late in the evening or at night on the Peruvian streets. Well, unless you know the area really well or when locals accompany you. In other situations, I would recommend a taxi and especially in Lima taxi from trusted company. In general, it is always a good idea to ask the hotel staff whether the area around is safe and if you can walk in the evening. This will allow you to avoid unnecessary stress. There are both kind of countries, more and less safe than Peru. Just a little bit of common sense is needed to enjoy traveling in this beautiful region. We wish you successful trips and unforgettable adventures!